Sunday, April 14, 2019, 4:00 p.m. to 8:00 p.m.
Monday, April 15, 2019, 8:00 a.m. to 9:30 a.m.
Lonny L. Schultz, age 66, of Breese, passed away Wednesday, April 10, 2019 at Barnes-Jewish Hospital in St. Louis, MO. He was born February 24, 1953 in Peoria, a son of the late Lloyd and Leola, nee Johnson, Schultz. Lonny is survived by his wife, Lora, nee Moss, who he married November 4, 2006; children, Christina (special friend Aaron Fischer) Schultz of Collinsville, Todd (Angela) Schultz of Aviston, Whitney (fiancé Troy Henard) Schultz of Aviston, Curt (Maria) Zurliene of Breese, and Monica (Dale) Koch of Damiansville; grandchildren, Ryanlynn, Meyer, Miller and Markus Schultz, Luna Henard, Garett and Jackson Zurliene, and Reid and Lyla Koch; brother, Larry Schultz of Groveland; brothers-in-law and sisters-in-law Donna (John) Boeing of Palos Heights, Gary (Marty) Moss of Phoenix, AZ, David (Maura) Moss of Carlyle, Barbara (Richard) Rhodes of Belleville, Glen (Theresa) Moss of Dayton, OH, and Kim Moss of Trenton; and nieces and nephews. In addition to his parents, he was preceded in death by his sister, Lynn Redden, and her husband Steve Grusey; and brother-in-law Mark Moss. 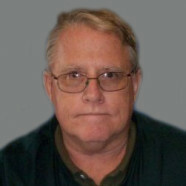 Lonny retired from Top Ag, Inc. in Trenton, where he served as the fleet manager and office manager. He was a member of Highland Masonic Lodge 583, St. Rose Combine Co., and St. Rose Catholic Church; an honorary life member and past president of Highland Pistol and Rifle Club; a past president of St. Rose Catholic Church Parish Council, St. Rose Elementary School Board of Education, and St. Rose Development Club; and a hunter safety education instructor. Lonny enjoyed antique cars, boating, playing Euchre, hunting, and, most of all, spending time with his family, especially his grandchildren. Funeral Mass of Christian Burial will be held Monday, April 15, 2019 at 10:00 a.m. at St. Rose Catholic Church with Fr. Edward Schaefer presiding. Interment will follow in St. Dominic-St. Augustine Cemetery in Breese. Visitation will be Sunday, April 14, 2019 from 4:00 p.m. to 8:00 p.m. and Monday, April 15, 2019 from 8:00 a.m. to 9:30 a.m. at Moss Funeral Home in Breese. Memorials may be made to Highland Pistol and Rifle Club Hunter Education Program or Mater Dei Catholic High School and will be received at the funeral home.